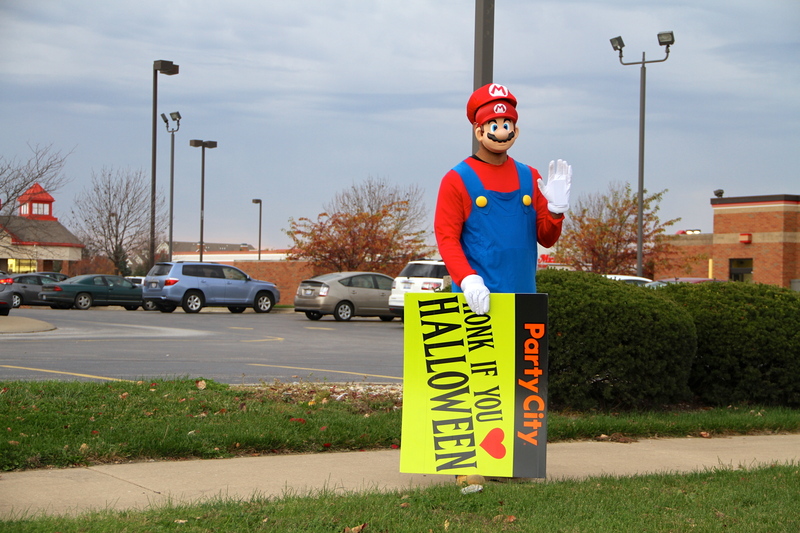 Look, Mario is on Prospect Avenue! Maybe nobody knows why he’s here with a sign reads “Honk if you love Halloween.” But anyway, honk him because he has ignited our enthusiasm for Halloween. In addition, students who enjoy the tour to a haunted house may find Gregory Hall Dining Room a great place on Thursday. Can’t wait to taste the Halloween-themed food and join Halloween parties!